Q: I am trying to create a user, but each time I’m getting a password not valid message. 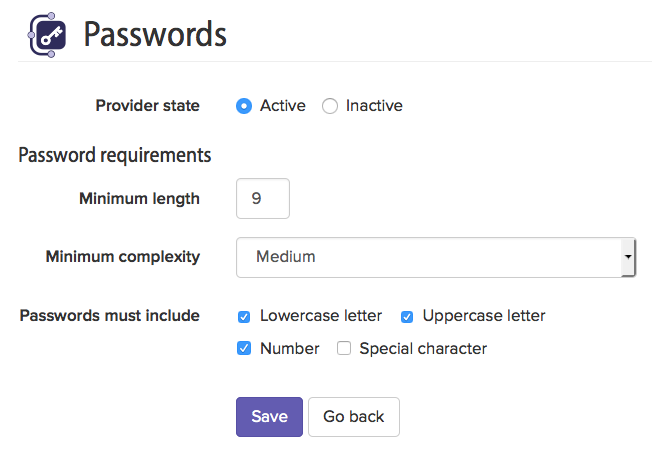 A: AuthRocket gives you the ability to require a minimum length and a minimum complexity level for passwords. These factors are configurable so you can match them to security level required for your app. While you can turn the requirements down, make sure you don’t turn them down too low! Passwords must not contain part of the user’s name or email. To increase a password’s complexity, try adding an extra word or extra characters onto the end.